As the co-manager of historic Sands Ranch for the last 20 years, Marilyn Williams Harris has made protecting wildlife habitats, repairing ecosystems, and preserving Arizona’s western landscapes a priority. Through her work with non-profits, Harris has raised millions of dollars for a variety of organizations ranging from the Arizona Horse Lover’s Foundation to the Barrow Neurological Foundation. Harris’ passion is horses and was the 2008 National Reined Cow Horse Association World Champion and National Champion in the Novice Non-Pro Bridle category. 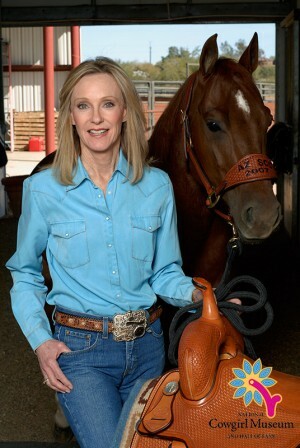 In 2012, she received the Arizona Cutting Horse Association Rookie of the Year Award. Harris uses her diverse array of skills and talents to fulfill her mission of preserving Arizona for future generations by leaving it in better condition than she found it.